The first steps towards interstellar travel have been taken, but the stars are very far away. Voyager 1 is about 17 light-hours distant from Earth and is traveling with a velocity of 0.006 percent of light speed, meaning it will take about 17,000 years to travel one light-year. Fortunately, the elusive “warp drive” now appears to be evolving past difficulties with new theoretical advances and a NASA test rig under development to measure artificially generated warping of space-time. 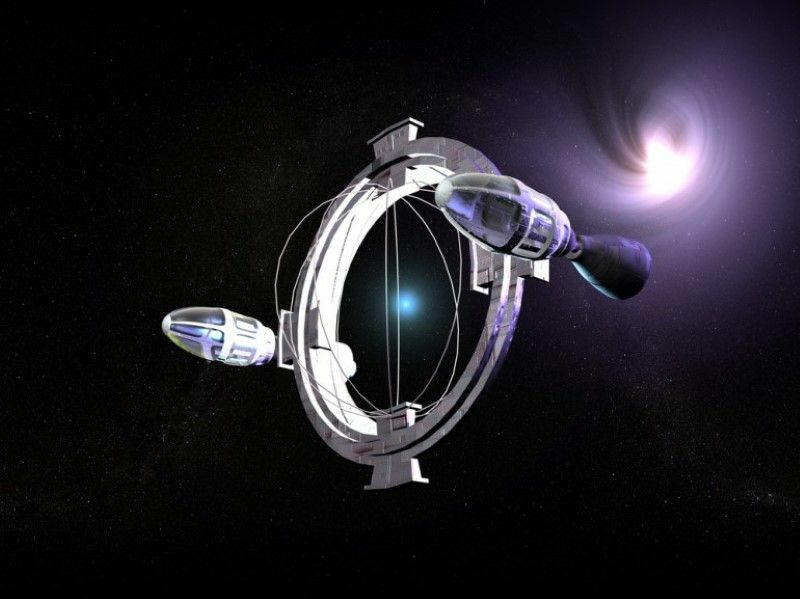 The warp drive broke away from being a wholly fictional concept in 1994, when physicist Miguel Alcubierre suggested that faster-than-light (FTL) travel was possible if you remained still on a flat piece of spacetime inside a warp bubble that was made to move at superluminal velocity. Rather like a magic carpet. The main idea here is that, although no material objects can travel faster than light, there is no known upper speed to the ability of spacetime itself to expand and contract. The only real hint we have is that the minimum velocity of spacetime expansion during the period of cosmological inflation was about 30 million billion times the speed of light.